Another investigation explored the increase of neighborhood violence and the proliferation of firearms that awakened community groups and law enforcement to explore ways to address the problems and find solutions before it becomes even worse. Yet another series of newspaper stories documented the impact of stormwater runoff on the area’s highly-used lakes, complete with proposals on how the environmental damage can be corrected before pollution becomes even worse. Governmental agencies and citizens have since come together to act. These are recent examples from just one community, Madison, Wisconsin, that are regularly repeated at newspapers, television news outlets and other media throughout the land — all examples of why journalism matters as much today as it has throughout history. But it’s not just the investigative pieces that seek to right a wrong. It’s journalism that chronicles the school board meeting, the arguments about whether a city needs a tax increase, the reasons why a water main needs to be replaced, the achievements of the high school scholars, the heroics or, perhaps, the agonies of the sports team, or the story of a neighborhood volunteer who helps make life better for someone in need. The founding fathers decided more than 200 years ago that if democracy was to function as they intended, there had to be a means to keep tabs on the people’s governments. They adopted the First Amendment to make sure those governments couldn’t hinder the people’s right to know or silence the opinions that might not please those in power. Journalism exists to keep the people informed. It exists to spread knowledge and, yes, it exists to provide viewpoints from many different perspectives, to provide the fuel that people in a democracy need to take part in their governments. Journalism matters because democracy matters. The two are inseparable. 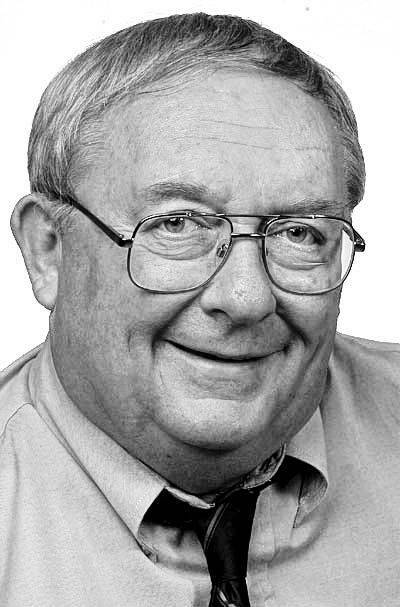 Dave Zweifel is Editor Emeritus at The Capital Times, Madison, Wis. His column is being shared as part of National Newspaper Week through a partnership with the West Virginia Press Association and Newspaper Association Managers.